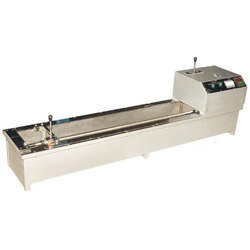 We are a leading Retail Trader of laboratory oven, ductility testing apparatus, standard penetrometer, softening point apparatus, bitumen extractor and standard tar viscometer from Ahmedabad, India. Owing to our expertise in this domain, we are engaged in offering a distinguished range of Laboratory Oven. Our offered oven is available in various sizes and designs as per the demands of our clients. The provided oven is manufactured using the best quality components and advanced technology at vendors’ end in line with industry norms. 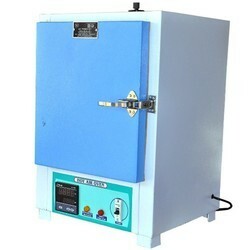 Used for the purpose of annealing, polyamide baking, sterilizing die-bond curing, we deliver this oven after testing it on varied parameters. 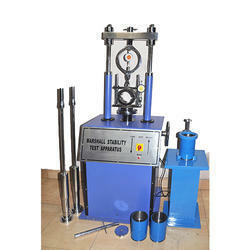 Our firm is instrumental in offering an exclusive range of Ductility Testing Apparatus. 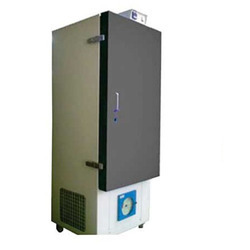 Water bath with a thermostatic heater, and a circulating pump to maintain uniform water temperature, these apparatus are procured from the trustworthy vendors’ of the market. To maintain industry standards, our quality examiners test these apparatus on different parameters. In addition to this, we offer these apparatus in different sizes and designs as per the requirements of our clients. A pointer fixed to the carrier moves over a scale graduated from 0-110 cm x 1 mm fixed on the bath with “0” (zero) of the scale towards the fixed plate side. The rotating shaft has 2 speeds of travel for the bracket, 5 cm/min and 1 cm/min., selected by a clutch. Water bath inside is aluminum, it is an insulated water bath. Water bath is provided with a drain. 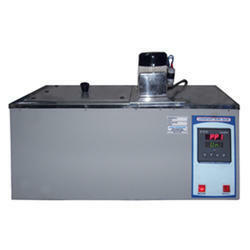 A heater with thermostatic control is fixed inside the water bath. 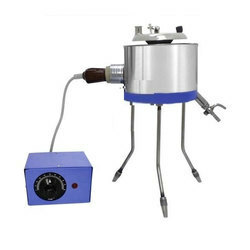 Control switches for motor, stirrer, heater and indicator lamps are fixed at a convenient place on the water bath, complete with three briquette moulds and one base plate, all made of brass. Operates on 230 volts A.C. single phase. Facilitated by technically advanced process, we are counted as the topmost trader and supplier of a distinct range of Standard Penetrometer. Our proficient professionals help us to design this penetrometer by using superior quality components and ultra-modern technology in sync with industry norms. 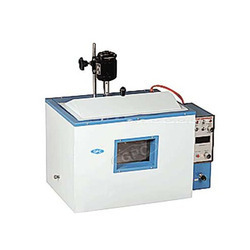 To maintain its quality, this penetrometer is stringently checked on varied parameters. 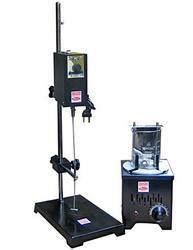 Used to determine grade of bitumen, this penetrometer is available in variegated sizes and specifications. It consists of a vertical pillar mounted on a base provided with leveling screws. 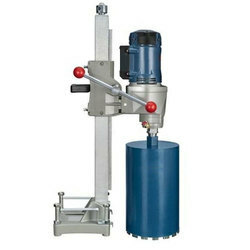 The head, together with dial plunger rod and cone (or needle) slides on a pillar and can be clamped at any desired height. 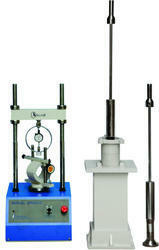 A rack & pinion and pointer assemble provides fine adjustment of needle or cone tip to sample. 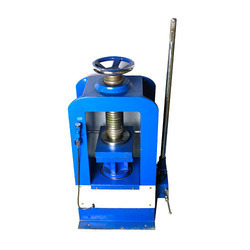 It incorporates a clutch mechanism which makes reading of penetration and subsequent resetting a simple and accurate operation. The dial is graduated in 400 1/10 and the millimeter sub-divisions and the needle pointer against figures makes easy reading. 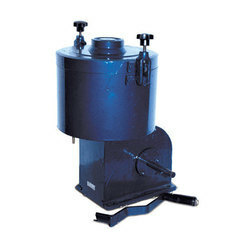 Supplied with bitumen penetration needle, ring weight one each 50 gms, and two sample container. We are assisted by our truly skilled and seasoned professionals in trading and supplying a precision-engineered range of Softening Point Apparatus. 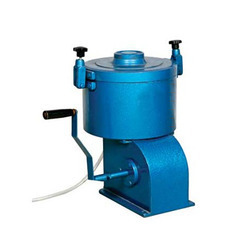 The offered apparatus are manufactured at vendors’ end using quality tested components and sophisticated technology in sync with industry norms. 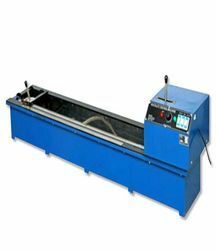 Used to determine softening point of bitumen, these apparatus are well-known in the market for different quality features. The apparatus consists of steel bracket with a sliding plate support. The support has two holes of 10 mm dia on which a Ring and Ball guide can be kept. A central hole on this plate is for inserting thermometer. Supplied with a glass beaker approximate 8.5 cm. I.D., 12 cm high and a hand stirrer and 2 nos. 9.5 mm dia steel balls. Care is taken to prevent solvent entering into the rotor of electrical motor Operates on 230 Volts A.C. single phase. 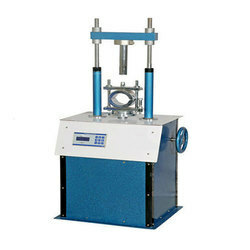 The test is applicable to hot mix designs using bitumen and aggregates up to a maximum size of 25 mm. In this method, the resistance to plastic deformation of cylindrical specimen of bitumenous mixture is measured when the same is loaded at periphery at 5 cm per min. This test procedure is used in designing and evaluating bituminous paving mixes. 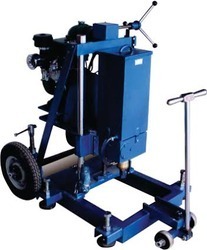 The test procedure is extensively used in routine test programmes for paving jobs. There are two major features of the Marshall method of designing mixes namely, a) Density – voids analysis b) Stability – flow tests. The marshall stability of mix is defined as a maximum load carried by a compacted specimen at a standard test temperature of 60ºC. The flow value is deformation the marshall test specimen under goes during the loading up to the maximum load, 0.25 mm units. In this test and attempt is made to determine optimum binder content for the type of aggregate mix and traffic intensity. 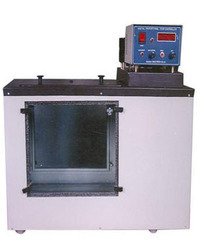 Flash & Fire Point Test Apparatus used for determining the flash point of fuel oils and lubricating oil, bitumen other than cutback bitumen and suspension of solids in liquids, having a flash point above 49°C. 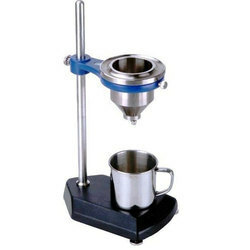 The apparatus consists of brass test cup with handle removable cup cover with the spring operated rotated shutter having oil test jet flame device, stirrer with flexible shaft. The assembly rests in Air Bath which is covered with dome shape metal top. The cup assembly is positioned in a cast iron air bath, fitted with a chrome plated brass top having electric heater with temperature controller. Suitable for operation on 220V, 1Ph, 50Hz AC Supply. This device was developed by U.S. Bureau of Public Roads and is used time saver deflections of flexible pavements. 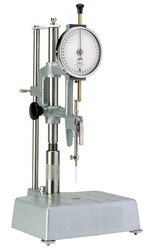 The light weight instrument is supplied in two parts for assembling on site with easy hand tools. In use one end of the beam rests at a point under investigation while the beam is pivoted at the center. The free end carries a dial gauge to record the deflections. The other end is kept on a stable platform. The beam ratio is 2:1 which magnifies even small deflections. Supplied with a dial gauge 0.01 x 25 mm. This is a light weight dismount liable instrument and easy to carry. A boon to pharmaceutical and petroleum industries oil refineries and universities etc. Raagaa constant temp. Water baths are meant primarily for viscosity determination of liquid. Fully automatic with performance accuracy better than Ã‚Â± 0.01Ã‚Â°C. Backed by efficient indigenous technology having a based proportional digital indicating controller with PT100 sensor system. External circulation facilities at highly stable temperatures has also been made available. It can also be applied in general laboratory routine tests kinetic studies and so on in universities educational institutions etc. The working chamber made out of selected grade thick brass SS sheet heavily nickel plated to withstand corrosion is mounted in a pressed aluminum cabinet with proper air gaps to avoid heat losses due to conduction. The inner tank is with toughened glasses mounted on silicone rubber gaskets. The exterior cabinet is properly recessed to accommodate outer glasses to minimize transfer of heat to the bath media. 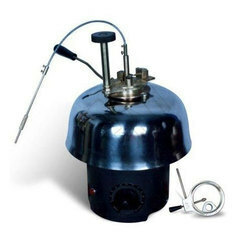 The circulation stirrer unit accommodated near the heaters in a separate compartment separated by a wire arrangement make the bath obstruction free for use. The control devices are suitably mounted to withstand heat etc.